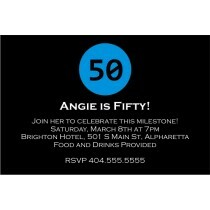 Design the perfect party invitation for your next event! 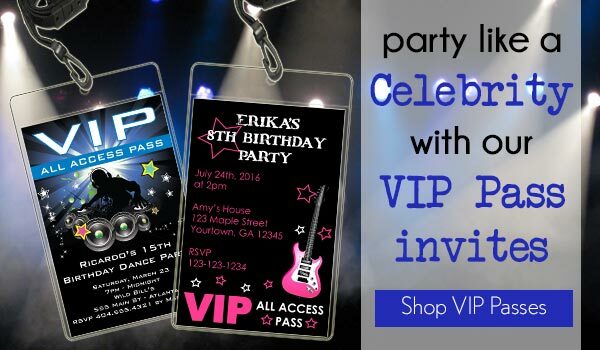 Birthday Party Invitations, VIP Pass Invitations, Baby Shower Invitations & More! 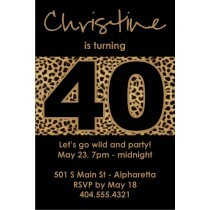 Wide selection of birthday party invitation templates ready for you to personalize! 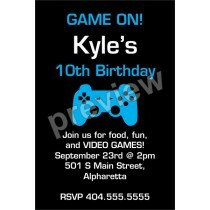 Choose from hundreds of party invite templates that are sure to complement your child's birthday party. 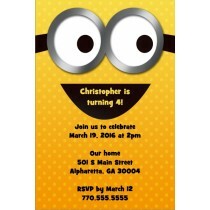 We have kids birthday party invitations and invites for adults too! 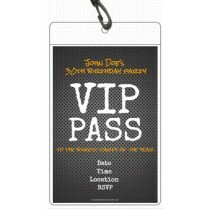 Just type in your party information and upload photos, and you'll see an instant preview of your birthday invite. We have many themes to choose from including photo invitations, princess, pirates, carnival, superhero and much more! 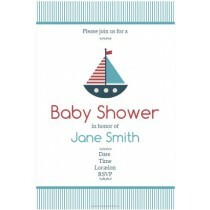 We also have a great selection of baby shower invitations and birth announcements. 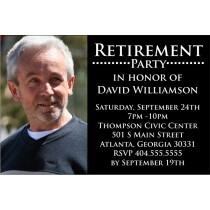 We offer fast invitation printing nationwide! 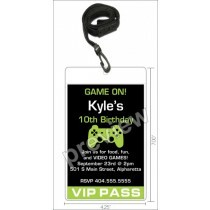 Planning a birthday party is stressful, but personalizedpartyinvites.com makes the process of ordering birthday invitations easy! 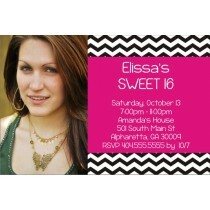 Why waste time hand writing party invitations, when you can order a full color customized invite in just minutes! 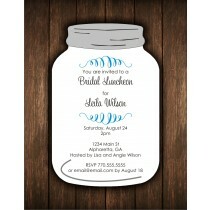 We have hundreds of easy to customize templates for you to choose from, including custom photo invitations. Simply enter your desired text and you will see an instant preview of what your personalized party invitation will look like! You don't have to wait days to see a proof! And with prices starting at just $0.89, personalizedpartyinvites.com offers an amazing value for customized invitations. 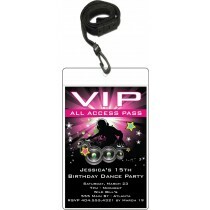 Personalizedpartyinvites.com is your trusted source for birthday invitations, baby shower invitations, and party invitation templates at affordable prices. 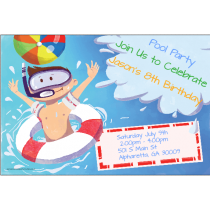 Personalized Party Invites is excited to provide you a wide selection of high quality party invitation designs and templates. Browse our large selection of invitation templates available for you to customize online like birthday party invitations, baby shower invitations, holiday party invitations, photo invites and more! 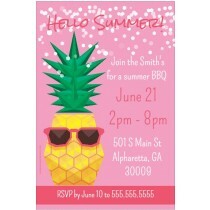 We even have free printable invitations! 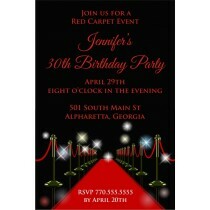 As a customer, you will enjoy affordable invitation prices and quick service. We strive to make every life moment a happy one without the hassles that sometimes comes from creating your own cards or invitations. With our large selection of party invites, we know we have an invitation that is ideal for your big event! 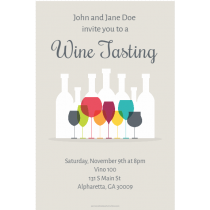 Many of our invitations are available as digital downloads! 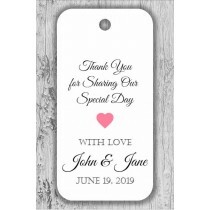 After you customize and design your card, if you select the "JPEG download" option, your design will be available for download instantly after checkout! 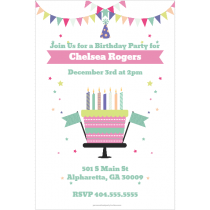 Post your party invite on Facebook, Instagram, Twitter...or print out invitations on your printer! 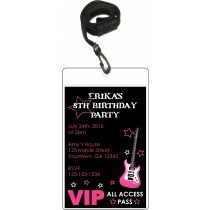 Personalizedpartyinvites.com is the fastest way to get personalized invitations! Hurry! 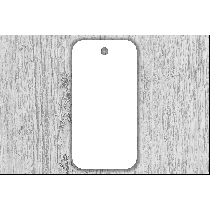 Discount code expires on June 30th!